Go to https://www.cloudtrax.com/ and sign in or create an account if you have not yet done so. You will then need to click on the "Edit Network" tab in the right hand corner. The below page will appear (add a "Network location" if you have not already). 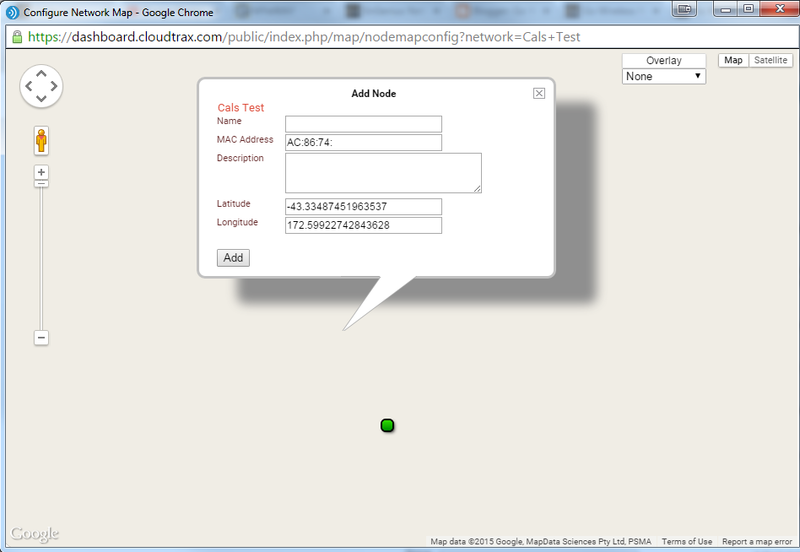 Click on the "Nodes: Add/Edit Nodes" click box. 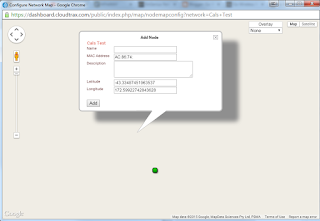 A new window will appear with a map of the area specified in the "Network location" box. Left-Click on the map and a box will appear like the one in the picture above. Give the access point a name and fill in the rest of the that access point's MAC address (found on the back of the AP). The access point will now be broadcasting the settings that have been applied to this CloudTrax network. If you would like the unit to be wirelessly connected, simply remove it from the wired network and as long as you have another Cloudtrax AP wired back to the main router the wireless unit will wirelessly uplink. Thanks for reading, please rate my blog below.